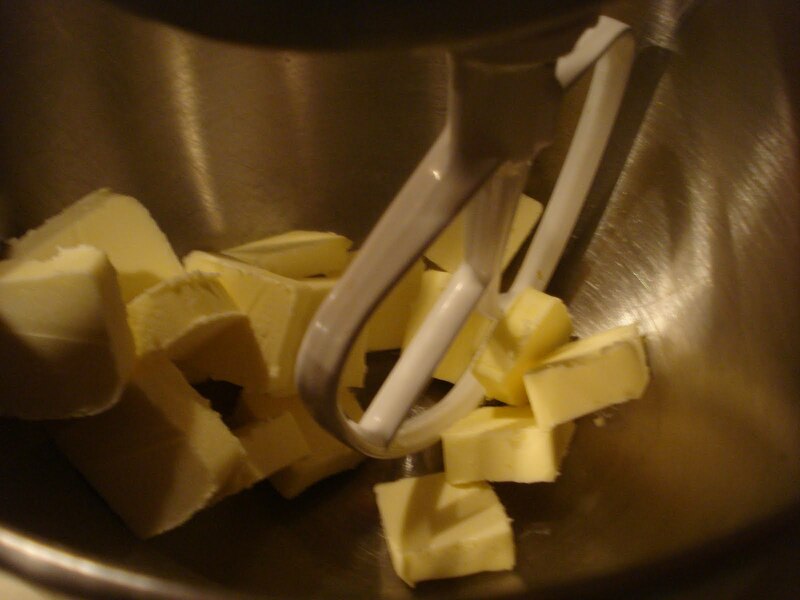 With the next Holiday just around the corner, it's time to get into the full baking mode..cookie time! I thought I'd get myself into my full baking mode by going through all my Holiday related cookie recipes, and some just great cookie recipes, and begin sharing some with you. This first recipe is adapted from "The Good Cookie" by Tish Boyle. I found a wealth of cookie suggestions on this site and this is the one that I made today. 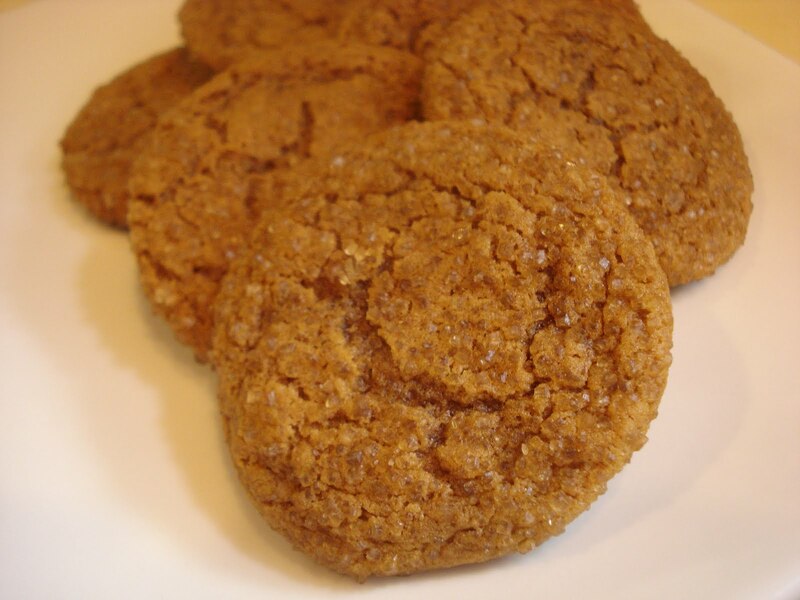 This cookie has wonderful flavors using warm spices, with fresh ginger, ground ginger and dark molasses. The addition of orange zest really comes through adding another layer of flavor. 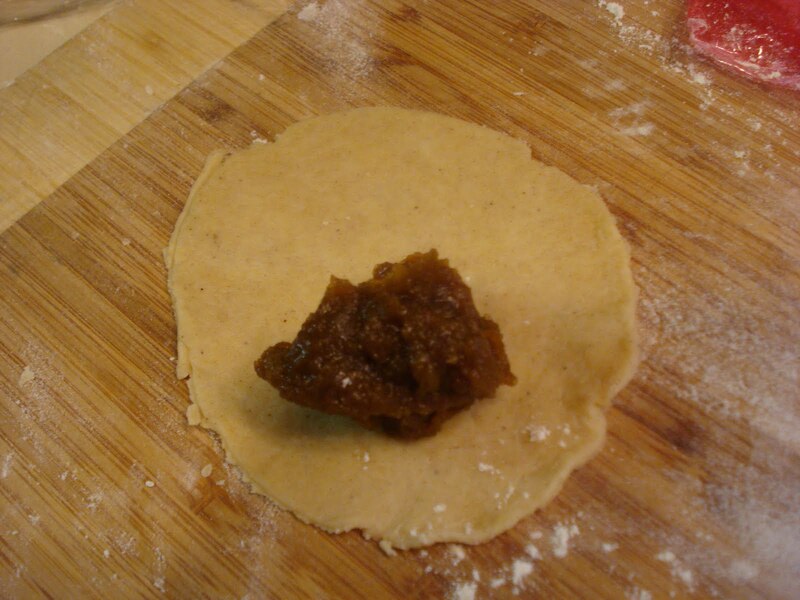 It's a soft cookie and the turbinado sugar it's rolled in gives it some crunch. This is definitely a good addition to your Holiday cookie list for those who love spice cookies. So to begin, first whisk the dry ingredients in a medium bowl and set aside for a minute. 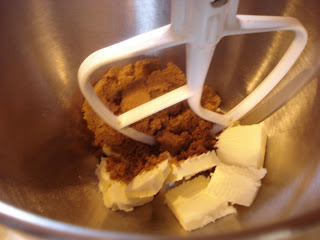 Then in a mixer fitted with the paddle attachment, beat the butter and brown sugar til creamy, about 2 minutes. 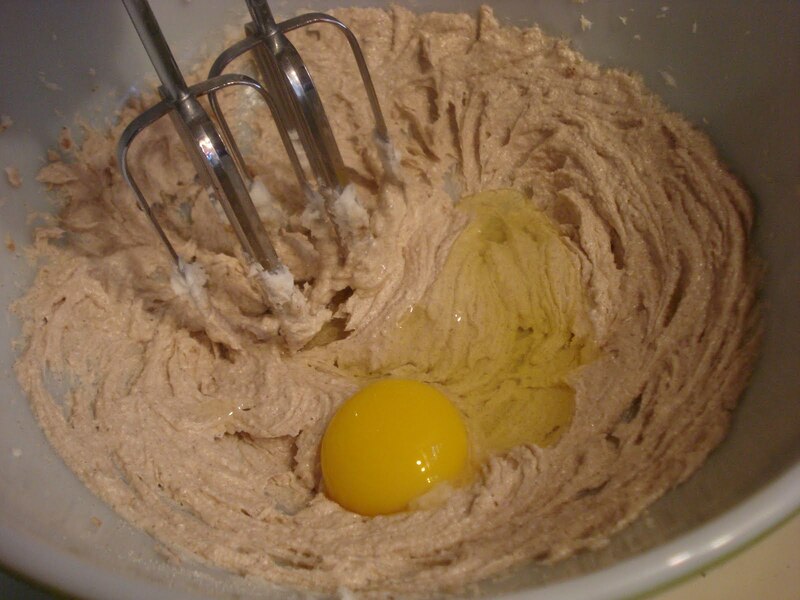 Then add the egg and mix til blended. Fresh ginger and orange zest and mix til blended. 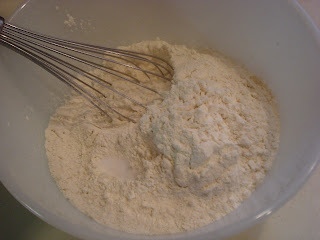 Reduce mixer speed to low and add the flour mixture til just incorporated. Don't overmix. You can stir the remaining flour with a rubber spatula, scraping the bottom and sides of the bowl. 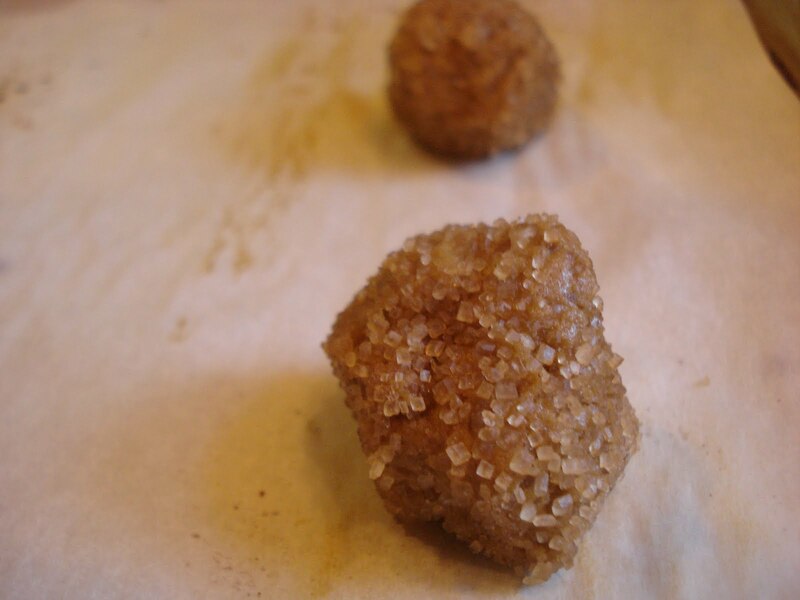 Pour some turbinado sugar into a bowl ( or pour into a small baggie) and place each ball of dough into the sugar and roll it around, covering each ball with the sugar. Then place balls 2" apart on parchment lined baking sheets. Bake 10 to 12 minutes. Mine took the full 12 minutes. 1. Whisk flour, baking soda, ground ginger and cinnamon in a medium bowl. Set aside. 2.In mixer, fitted with paddle attachment, beat the butter and brown sugar on medium-high speed til creamy, about 2 minutes. 3. 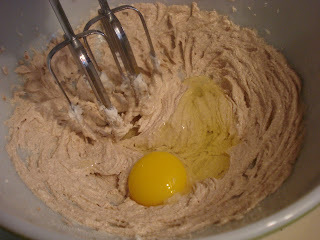 Add the egg and mix til blended, scraping the bottom and sides of bowl. 4. 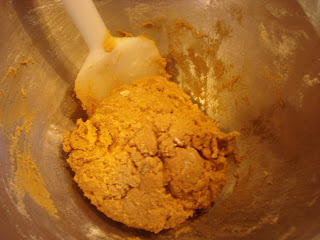 Add the molasses, fresh ginger and orange zest and mix til blended. 5. 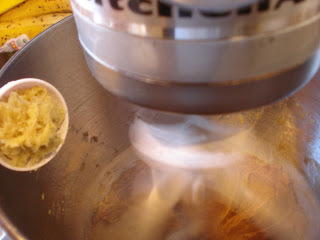 Reduce speed to low and blend in flour mixture, mixing til just incorporated. Don't overmix. 6. Place the turbinado sugar in a small bowl or baggie and form dough into 1" balls, placing each ball into the sugar and coating well. 7. Place balls on baking sheet placing 2" apart. 8. Bake for 10 to 12 minutes or til edges are set and tops are crackly but centers still soft. Note: Because these cookies are dark it's hard to tell when the edges are set so I baked mine a little longer, 13 minutes. If you're unsure, bake one or two cookies first and let them cool enough so you can tell if they may need more baking time. What I thought was going to be a relaxing day of pie baking today turned into a rather stressful day. I had a few special orders for pies, one being pecan pie. Now, I love pecan pie, love it so much in fact that I don't dare make it because..well, it could get downright dangerous, having that gooey crunchy nutty flaky goodness anywhere near me! But since I hadn't baked one in a while I thought I'd hone my pecan pie baking skills by baking up a sample one last night. 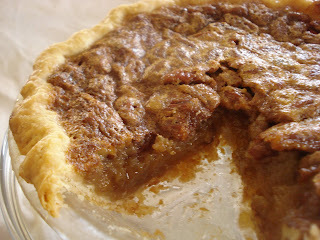 Remembering the latest Throwdown I watched involving Bobby Flay and Pioneer Woman, I chose her pie recipe to make. It did win over Bobby's dessert, after all! And doesn't this always happen? You make something for your family and it comes out great, and then you make the very same thing for someone else and it just gets messed up..or burns..or overbakes..or doesn't ever seem to bake! Well, I think you get the idea. So that's where the stress came in. The pecan pie I baked today just needed more and more time and still seemed too jiggly..but in the end, all turned out fine. The jiggling stopped as the pie cooled and all was well. 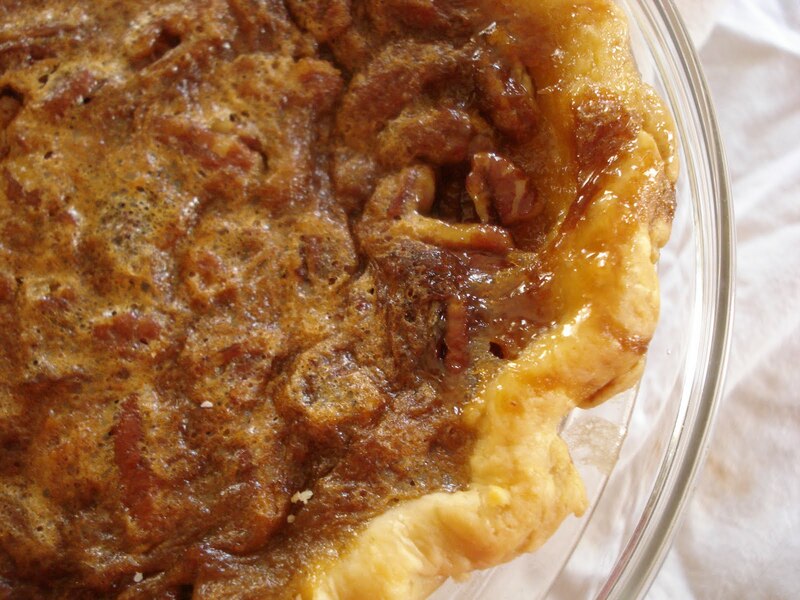 So if you need a last minute pecan pie recipe this one's a great one. But there has to be a better way to cover the crust than with foil that WON"T stay in place! 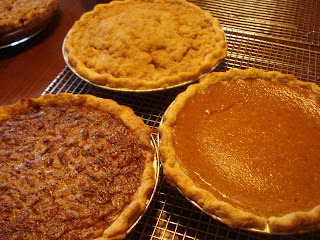 One of each Apple Crumb, Pumpkin and Pecan Pies..oh my! 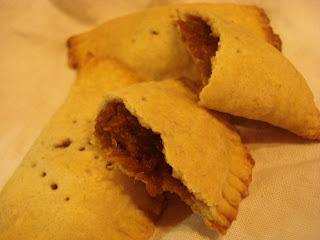 With so many pumpkin recipes floating around the internet this week I thought I'd join in and make some empanadas using pumpkin..well, that is to say..butternut squash! 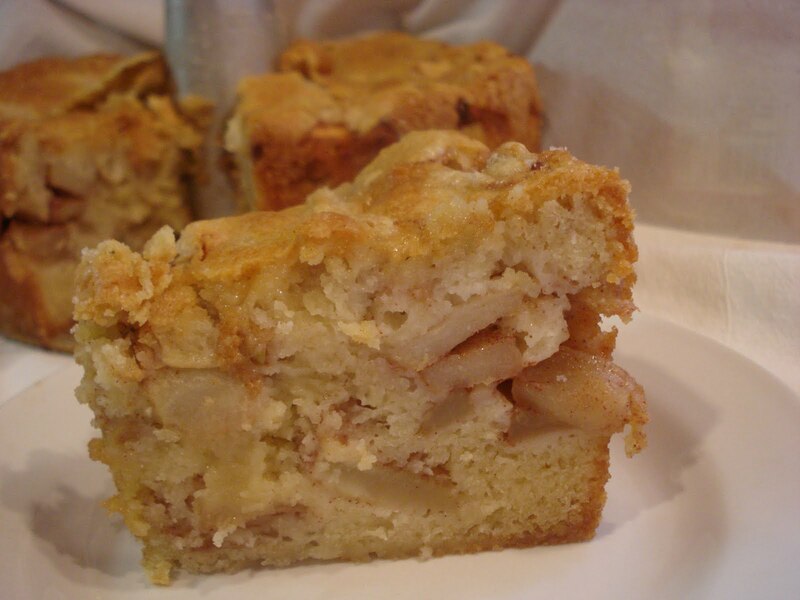 This recipe is from the book, " A Baker's Odyssey" by Greg Patent. I've made lots of recipes from this book already and they've all been great. I can honestly say I've never had an empanada so I can't really comment on how these stacked up against others, but these were very good. I used butternut squash because I really was too lazy to go find a Halloween pumpkin and I already had the squash in the house. The recipe is a little time consuming and I would suggest you make the dough and filling on one day and assemble and bake another day just to make it a little easier on yourself. Cut the pumpkin ( or squash) into chunks and scrape out the seeds and fibers and throw it into a large pot with 2 to 3 cups of water. Cook about 45 minutes, or til it's barely soft. While the pumpkin is cooking, start the dough by placing the dry ingredients into a medium bowl and whisking to combine. 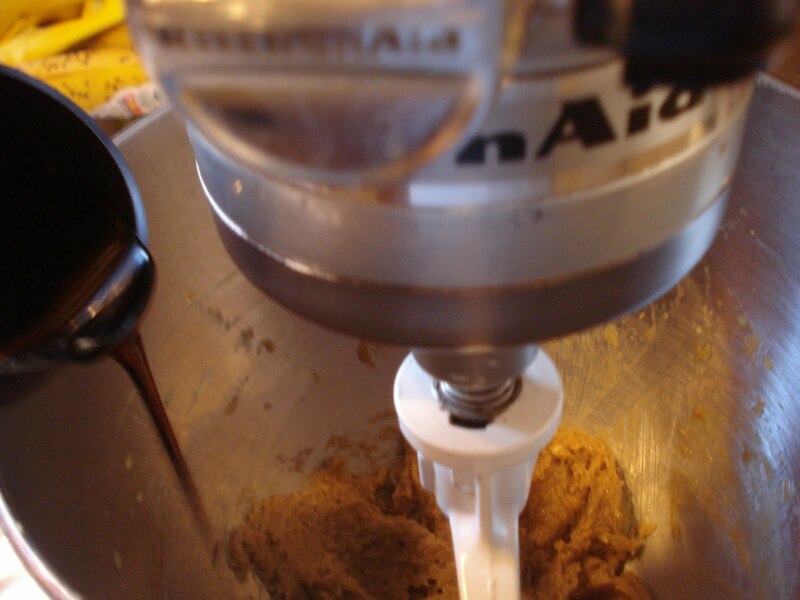 In a large bowl, beat the shortening with an electric mixer til smooth and creamy. Add the sugar, cinnamon and cloves and beat well. Add the egg and beat for one minute. Alternating with the milk in 2 additions. 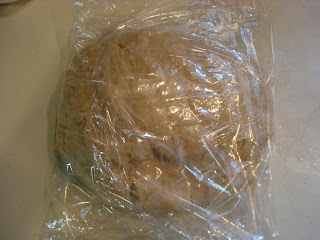 Wrap in plastic and let it rest for 30 minutes or up to an hour. Now, back to the filling. 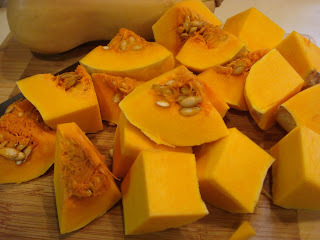 Once the pumpkin or squash is drained, let it cool enough to handle and cut off or scoop out the the skin. Place it back in the pot and add the brown sugar and cinnamon stick ( I didn't have one so I just added 1 teaspoon of cinnamon). Cover the pot and let it come to a boil over medium heat. When it comes to a boil, reduce to medium and let it cook, stirring occasionally, for 10 minutes. 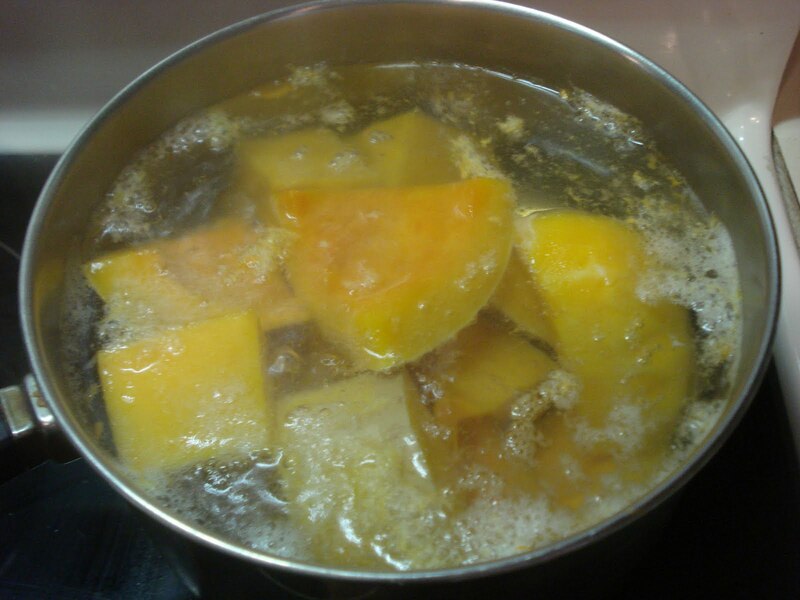 Uncover the pot and boil, stirring occasionally, for 20 to 30 minutes, til pumpkin is completely tender and the liquid is syrupy and almost completely absorbed. 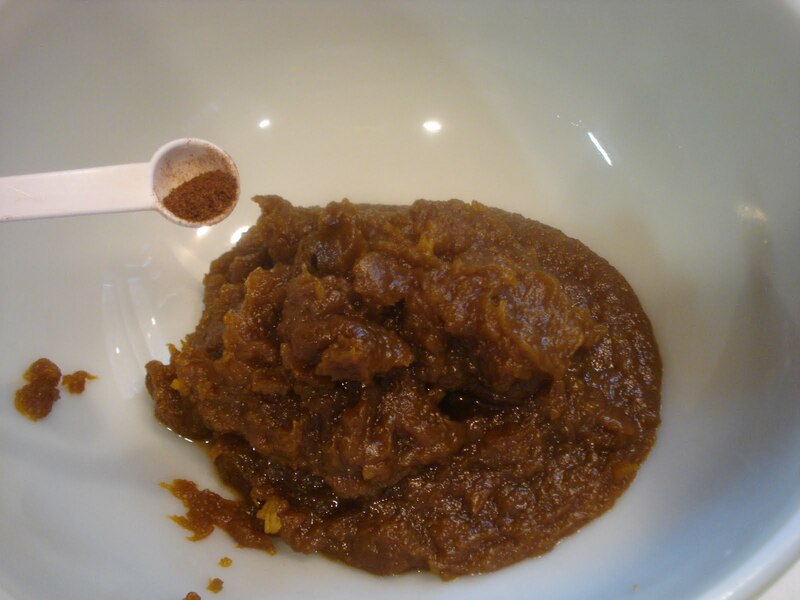 Mashthe mixture with a potato masher and discard the cinnamon stick. Stir in the cloves and cinnamon. Cut the dough into 20 pieces. Roll each one into a 5" circle. Using a small pot lid helps if you want a perfect circle! Fold over and press the edges with a fork. Then prick the top in 3 places using the fork. Transfer the empanadas to a parchment lined baking sheet and brush the tops with cream. Bake 40 to 45 minutes or til golden brown. 1. 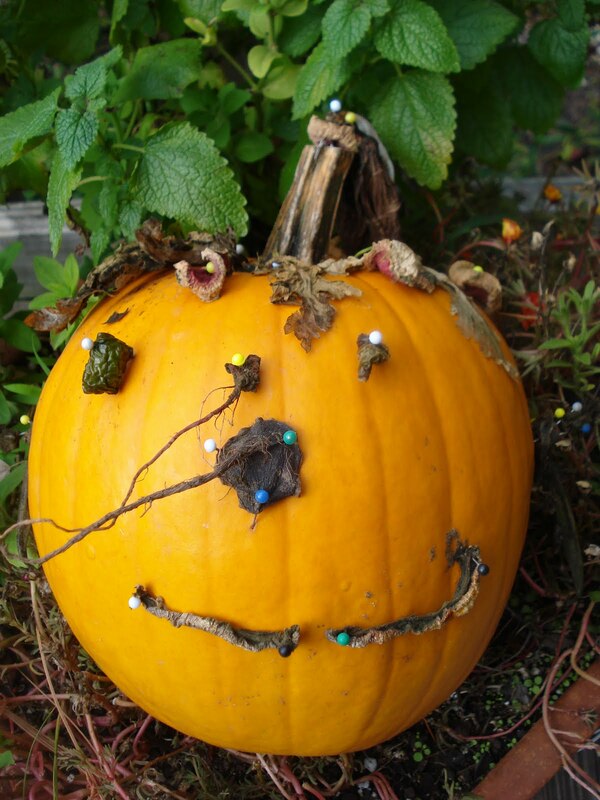 Cut the (unpeeled) pumpkin into large chunks Scrape out seeds and fibers and discard. Put the chunks in a large pot and fill with 2 to 3 cups of water, cover and bring to a boil over high heat. Reduce heat to medium and cook about 45 minutes, or til pumpkin is soft but not completely tender. A knife inserted should give a little resistance. Drain and let cool 20 to 30 minutes. 2. With a spoon, scrape off and remaining fibers and cut off the skin. Cut the flesh into 1 1/2" chunks. 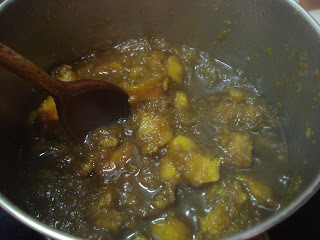 Return the pumpkin to the pot and add the cinnamon stick and sprinkle on the brown sugar. Cover the pot and set it over medium heat. When the liquid comes to a boil, reduce the heat to medium-low and cook, stirring occasionally, for 10 minutes. Uncover the pot and cook, stirring occasionally, for another 20 to 30 minutes, til the pumpkin is completely tender and the liquid is syrupy and almost completely absorbed. 3. Remove from heat and discard the cinnamon stick. Mash pumpkin with a potato masher and make it very smooth. Stir in the ground cinnamon and cloves. Let it cool completely. 1. In a medium bowl, stir the flour, baking powder and salt together with a whisk. 2. In a large bowl, beat the lard or shortening with an electric mixeron medium speed just til smooth and creamy, less than a minute. Add the sugar, cinnamon and cloves and beat well. Add the egg and beat for a minute. 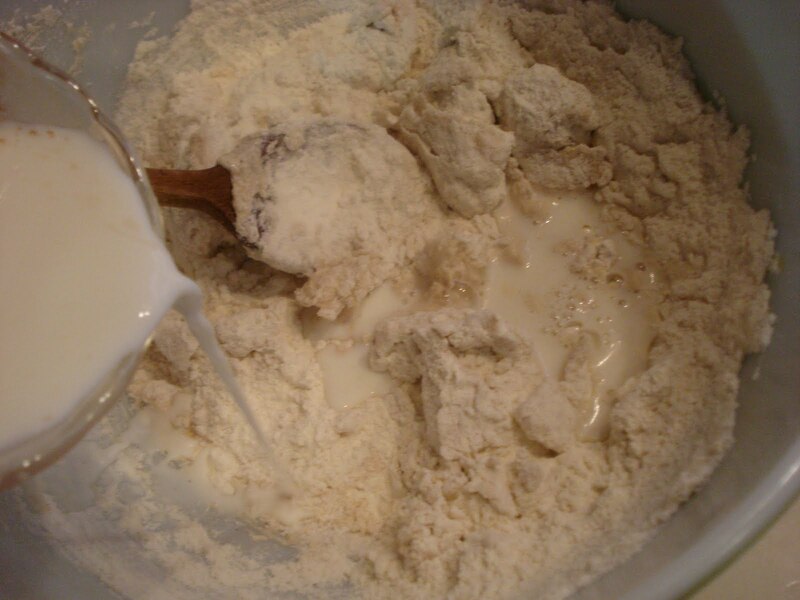 With a wooden spoon, add the flour in 3 additions alternating with the milk in 2 additions, beginning and ending with flour and stirring only til each addition is incorporated. 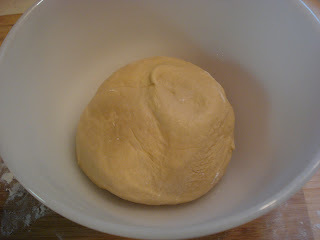 The dough should be firm, pliable and not sticky. 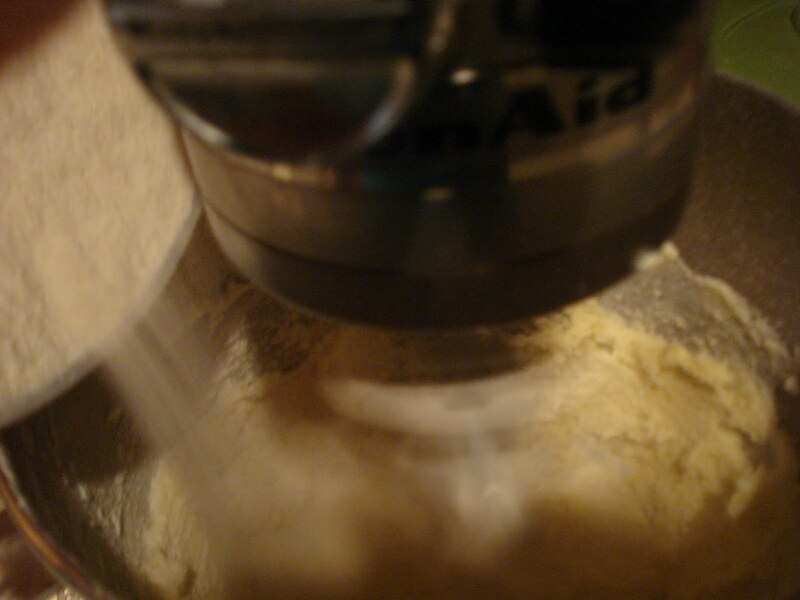 If too wet, knead in up to 1/4 cup additional flour on your work surface. Wrap the dough in plastic and let it rest 30 minutes to an hour. 3. Adjust 2 oven racks, placing in upper third and mid to lower third. Line 2 sheets with parchment paper. 4. 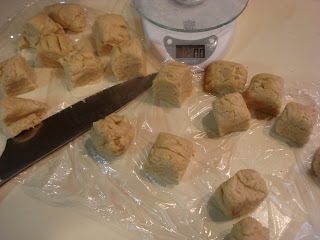 Divide the dough into 20 pieces, about 1.5 ozs. each. Shape each into a ball and flatten slightly. Roll out each ball on a slightly floured wooden board to 5" circle. Place 2 tbsp. 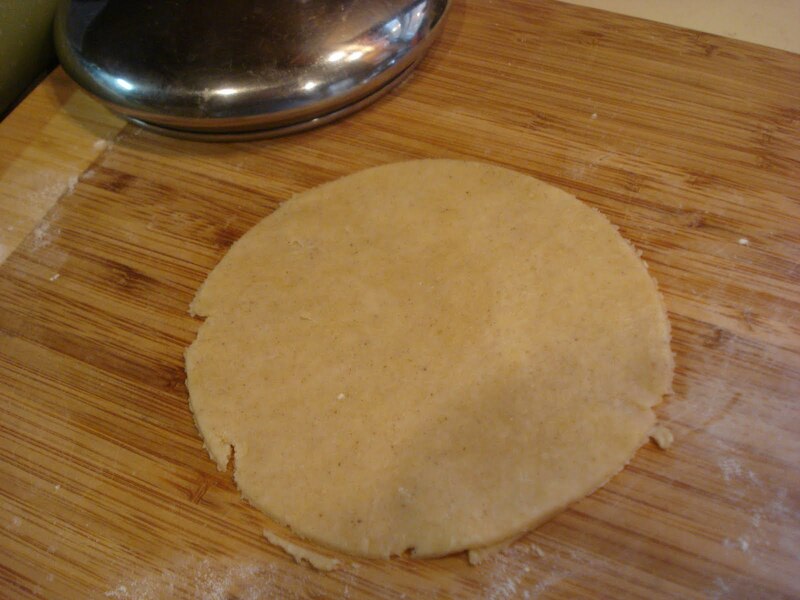 of filling on each circle of dough slightly off center, then fold dough over and press edges with tines of a fork. Transfer to baking sheet, spacing 1" apart. 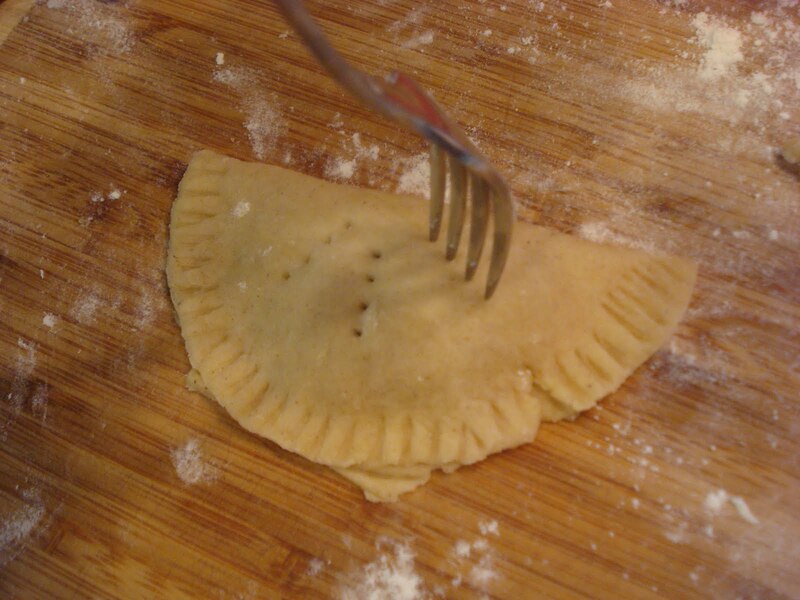 Once all the empanadas are on the sheets, brush each one with cream and prick the tops 3 times with a fork. 5. Bake 40 to 45 minutes or til deep golden brown, rotating sheets top to bottom and front to back, once during baking. 6. Cool one minute on baking sheets, then transfer to racks to cool completely. 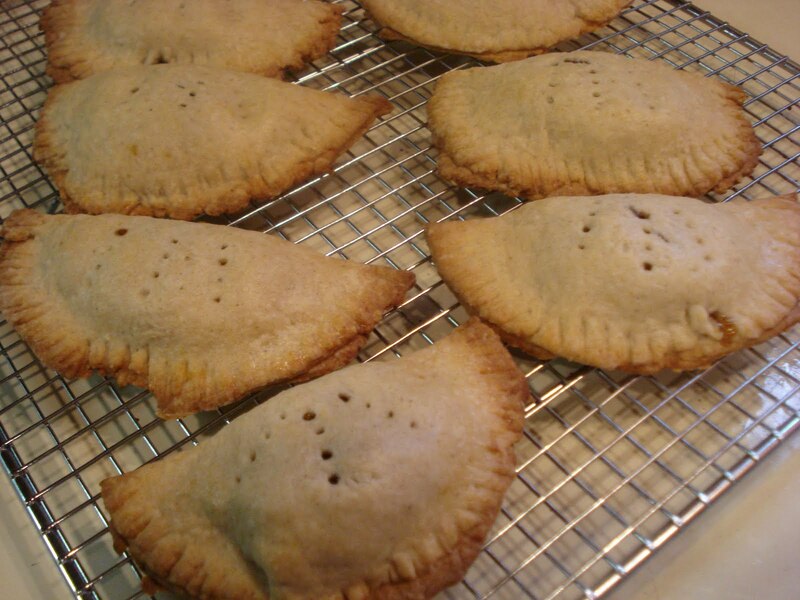 The empanadas keep well at room temp., stored airtight, for 2 to 3 days. To freeze: When completely cool, place on baking sheets and freeze til solid. 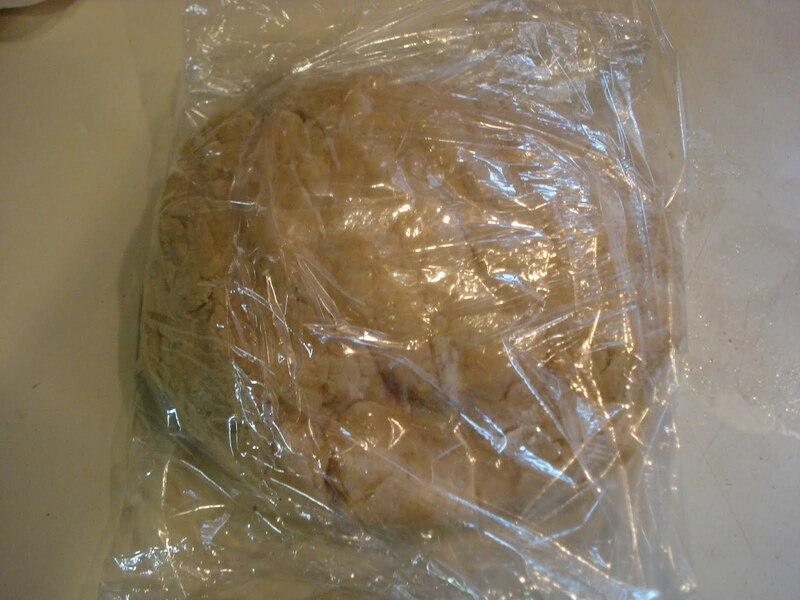 Transfer to heavy duty resealable plastic bags and freeze for up to one month. Thaw in their wrapping, then arrange on a baking sheet and refresh in a preheated 300 degree oven for 10 minutes. 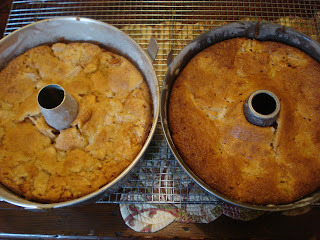 Since I had to make two apple cakes today, I thought it would be a great chance to bake two different recipes. Do a kind of comparison to see if two recipes came out differently. The ingredients for Jewish Apple cakes are basically the same, using oil, orange juice, 4 eggs and lots of sliced apples..with other things, of course, like sugar and flour. I searched find two that were different enough to, hopefully, make a difference in taste and texture. The first one I found was this one. 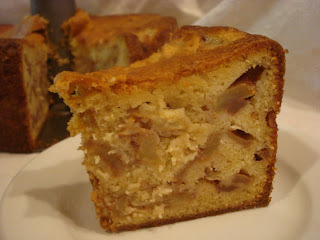 This blogger always has great recipes and I have made this cake before. This cake doesn't dissappoint. It's moist and full of flavor and, as with cakes of this kind, tomorrow it will taste even better. The one thing I changed, however, was to slice the apples thinner than her recipes calls for. I just prefer thinner slices. As you can see from the photo below this cake didn't come as high as the other recipe. It also didn't come out as golden brown but in all fairness, I did use a non stick pan for the other one which accounts for the darker color. 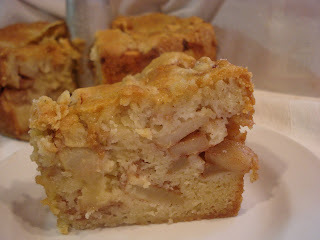 The other recipe is called a Philadelphia Style Apple Cake ( no prejudice here..honest!). 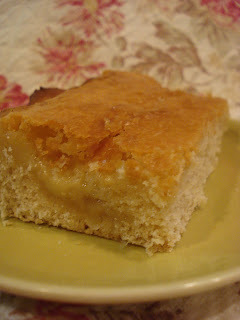 It used a little more flour and orange juice and some brown sugar, rather than all white sugar. And the method for making this cake was a little bit easier. I also liked the suggestion of sprinkling some sugar onto the pan after greasing and before flouring. So for looks, this one got my vote, but for taste, I have to say they were both great. Grease the pan, then sprinkle with some sugar, then flour. 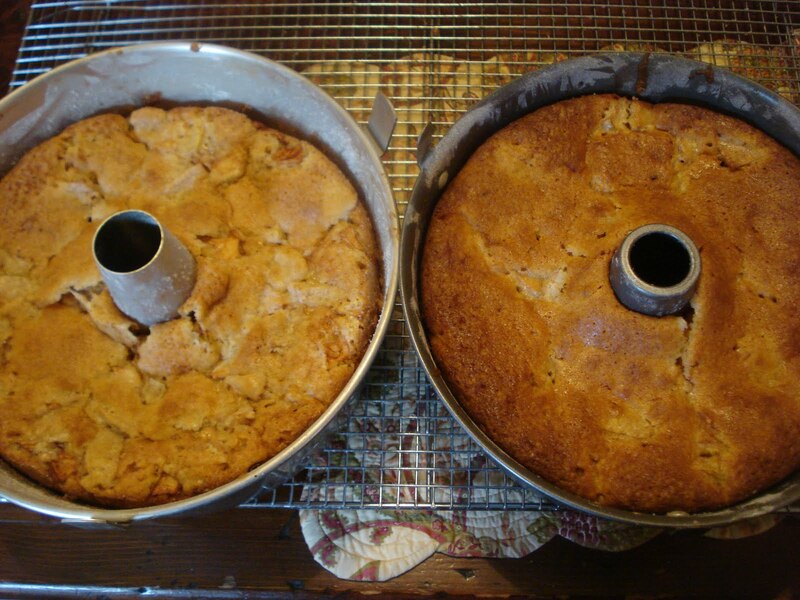 The Philadelphia Cake called for about 3 apples but I used 5 apples to keep both recipes using the same amount. 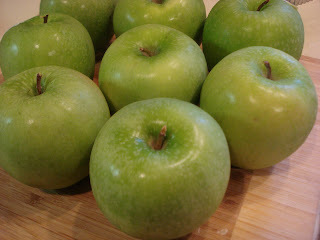 The most time consuming part was peeling and slicing the apples. Once they're all sliced, put them into a large bowl and sprinkle sugar and cinnamon over them and set them aside while you make the rest of the recipe. Once the batter's made pour some of it into the prepared pan, then place some of the apple slices over top. Then layer more batter, then apples. 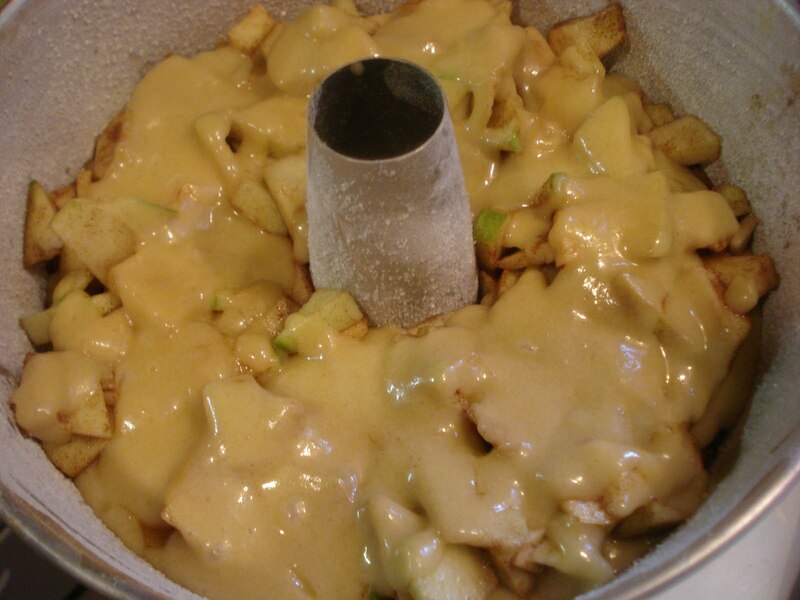 Pour the remaining batter over the apples. Then bake for about an hour. 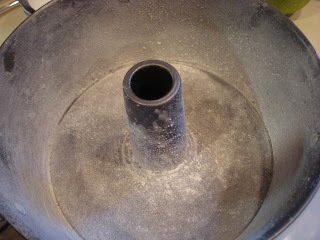 Grease ( don't use spray) , sugar and flour a tube bundt pan. 1. 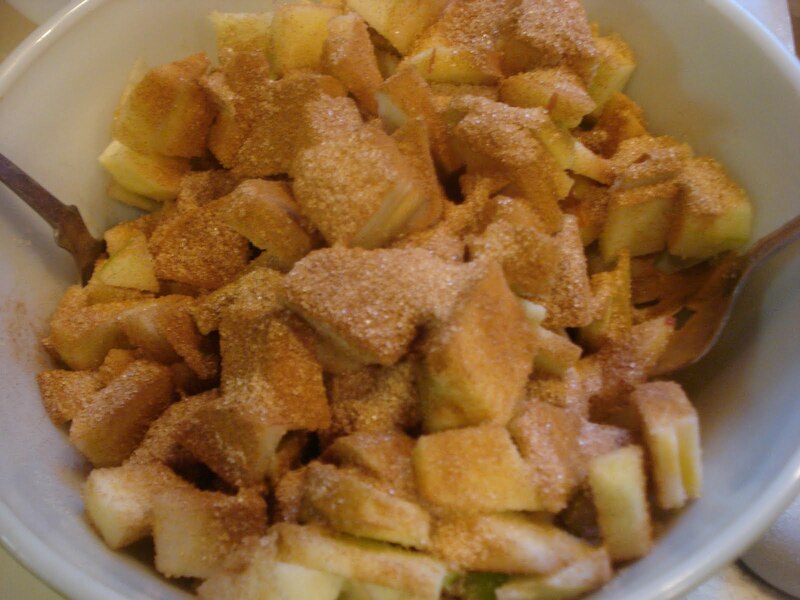 Mix apple slices with cinnamon and sugar and set aside. 2. Combine flour, baking powder and salt in a medium bowl and set aside. 3. Beat eggs with granulated sugar and brown sugar. 4. Add oil, orange juice and vanilla to the egg mixture and beat well. 5. 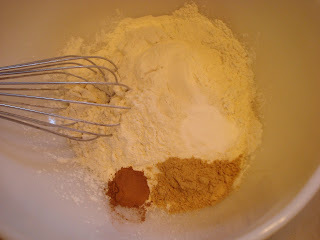 Gradually blend in flour mixture and mix til well blended, about one minute. 6. 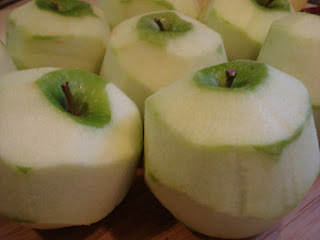 Drain the liquid off apples. 7. 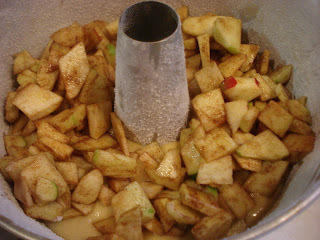 Pour about one third of the batter into the prepared pan, then a layer of apples. 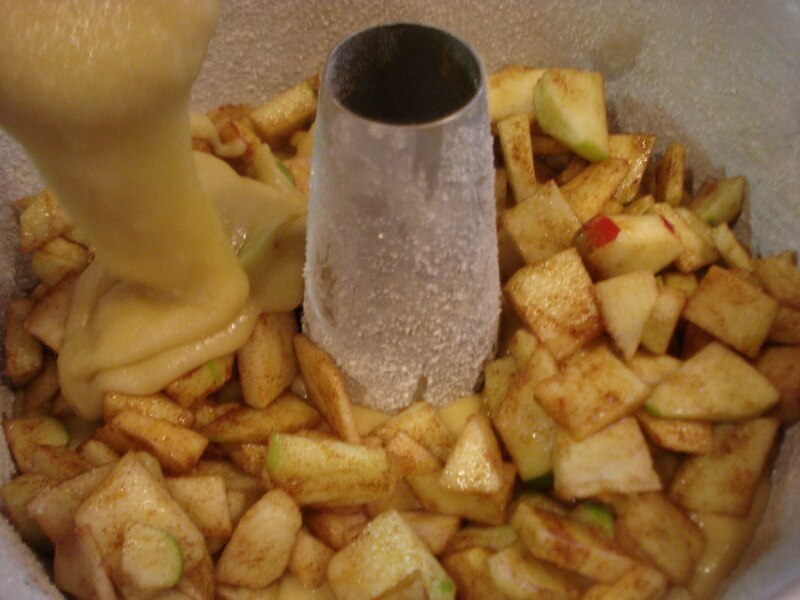 Repeat with batter and apples, ending with batter. 8. Bake for approx. one hour or til a knife inserted into cake comes out clean. 9. 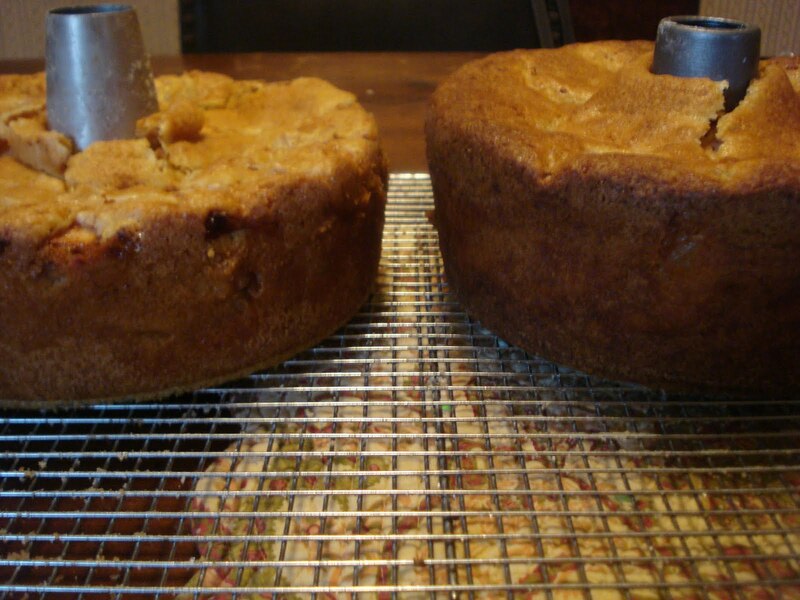 Let the cake cool for at least one hour before removing from pan. Note: Let it cool completely before slicing. This cake is better the day after baking. You'd think that since I live in the Philadelphia area I would have been more familiar with this cake, one even named after the nearby city. However, I have to say that I wasn't. I don't really even remember how I came to notice this cake but once I started reading about it, I was intrigued. So much was written about it, but one thing seems to be certain. It's only found here in the Philadelphia area. Now there is a St. Louis Gooey Butter Cake and these two recipes sound very similar. From what I could tell, the St. Louis cake uses light corn syrup and is dusted with confectioners' sugar before serving. So I set about to make this yesterday, thinking it would be an easy task. 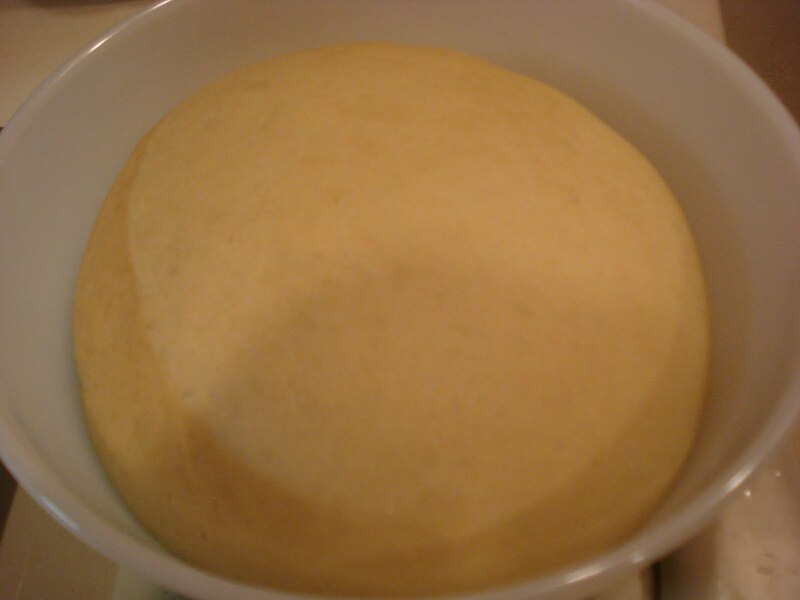 Just proof the yeast, mix the ingredients, and let it rise. Right? Well, the first batch of yeast I mixed didn't proof. Then I remembered that I needed to add a teaspoon of sugar to "get things going", so I mixed up second batch to proof and finally it bubbled and looked alive! 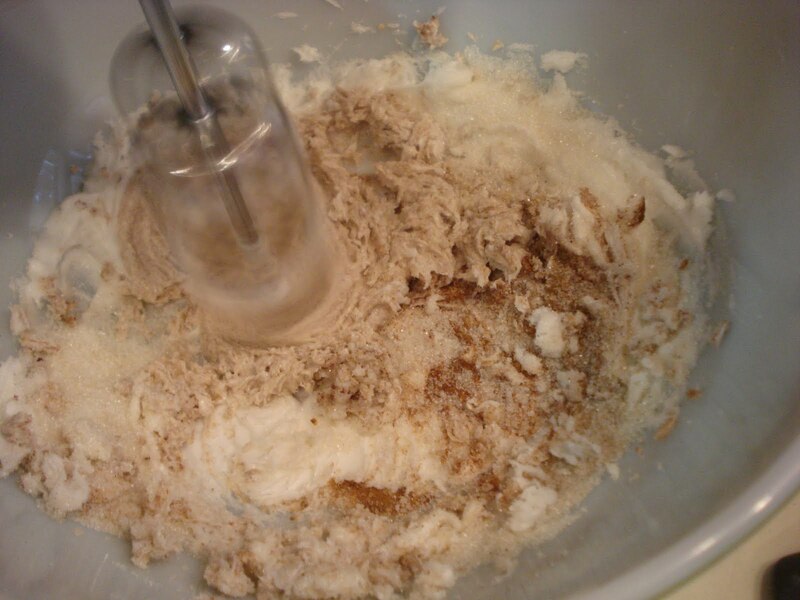 Mixing the ingredients was easy but I have to tell you that it took forever for the dough to rise. I'm talking 4 hours forever! Maybe my kitchen was especially cold yesterday? 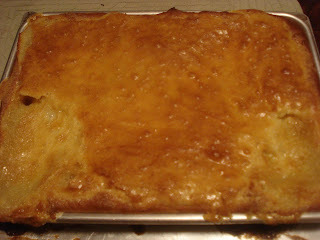 I don't know but by the time it was ready to bake, it was night time, which accounts for the lousy photos..sorry. Oh and one other thing. I should have baked the cake in a pan with sides at least 2 inches high. Instead I chose a pan with low sides and the filling spilled over, big time, and made a smoky mess in my oven. You see those two places on top of the cake that look lighter in color? That's because I had to scoop out some filling to stop it from continuing to overflow. But after it finished baking and I let it cool, I have to say, it's an amazing cake! And it was worth all the time it took. The cake is really more of a breakfast cake. 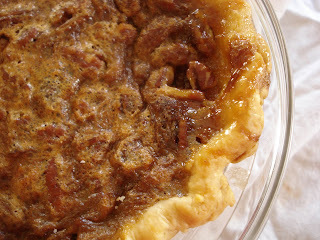 The yeasty base has a taste similar to breakfast danish and the topping has a rich, buttery, pudding like consistency with a creme brulee kind of crackle crust top. Begin by mixing the sugar with the shortening and salt. Add the egg and beat one minute. Dissolve the yeast in the warm milk and a teaspoon of sugar and allow to proof. 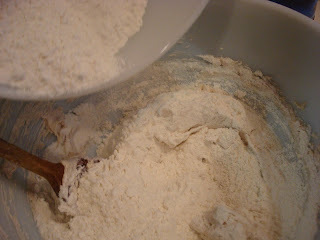 Add the flour, then yeast mixture and vanilla to dough batter. And mix for 3 minutes. 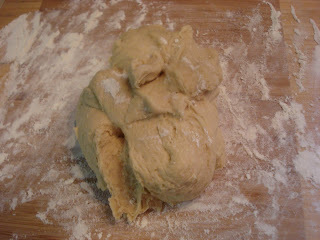 Turn the dough onto a lightly floured board and knead 1 minute. Place dough in a lightly oiled bowl and cover with a towel and set in a warm place til doubled in size ( this may take up to 3 hours!). Pat the dough into a 13 by 9 inch buttered pan with sides, at least 2" high. Crimp the edges halfway up the sides. Prick all over with a fork to prevent bubbling. 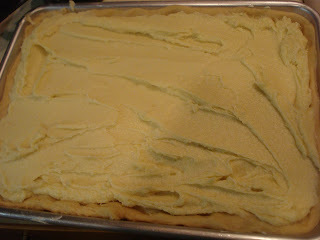 Make the filling by first creaming the butter. Then mix the flour and sugar and gradually add to the butter. Add teaspoons of milk, just enough to bring mixture to consistencyfor easy spreading. Spread the filling over the dough and let it rest 20 minutes. Then bake about 30 minutes. Don't overbake. The topping should be crusty but gooey. 1. Dissolve yeast in warm milk with a teaspoon of sugar and let it proof. 2. 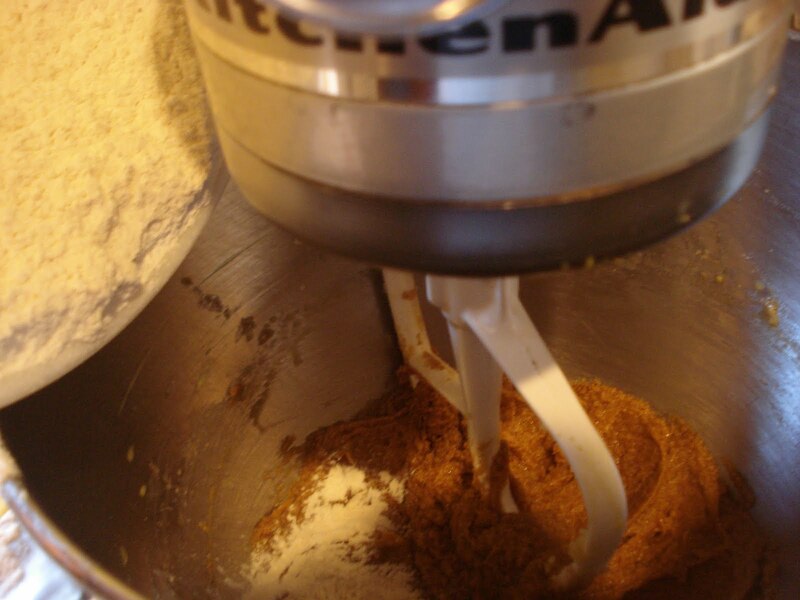 Mix sugar with shortening and salt in a mixer bowl, til incorporated. 3. Add egg and beat one minute. 4. Add flour, then milk/yeast mixture and vanilla to dough batter. 5. 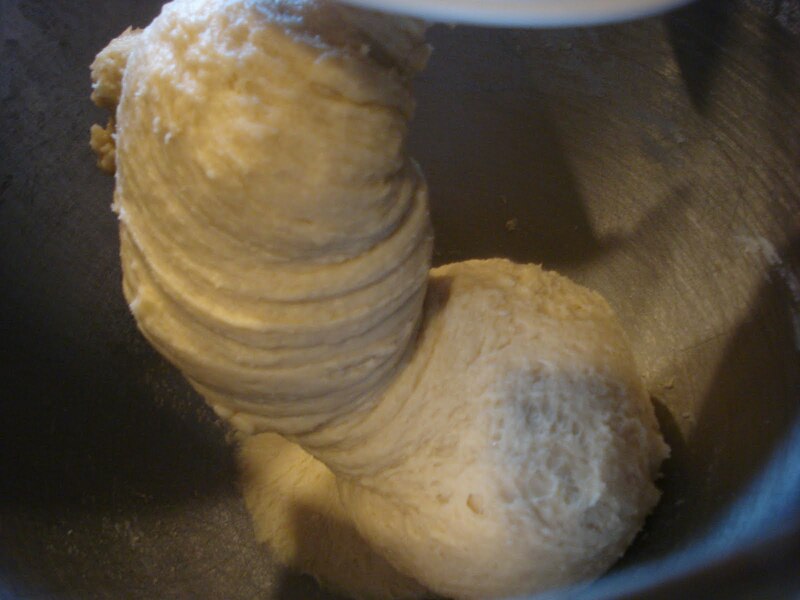 Mix 3 minutes with dough hook. 6. Turn dough out onto a lightly floured board and knead for a minute. 8. 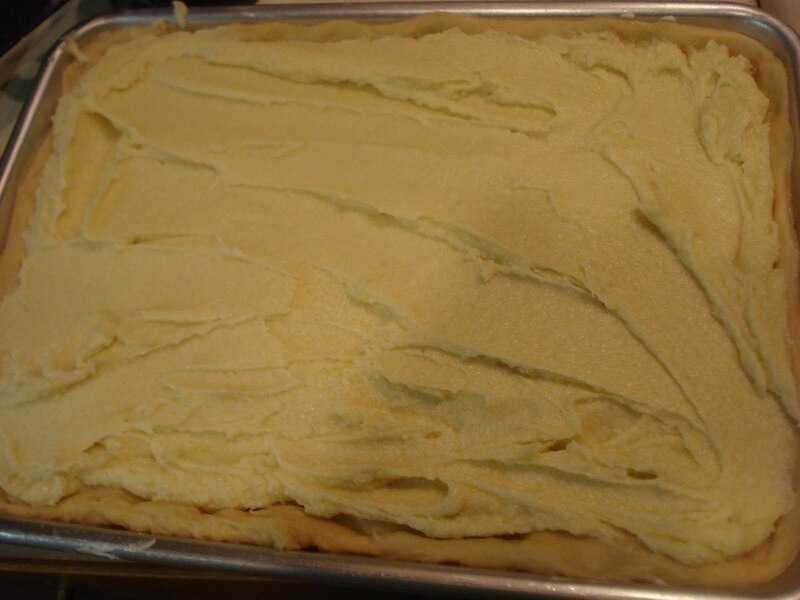 Once dough has doubled, pat into a buttered 13 by 9" pan with at least 2" high sides, crimping edges halfway up sides to hold topping in. 9. 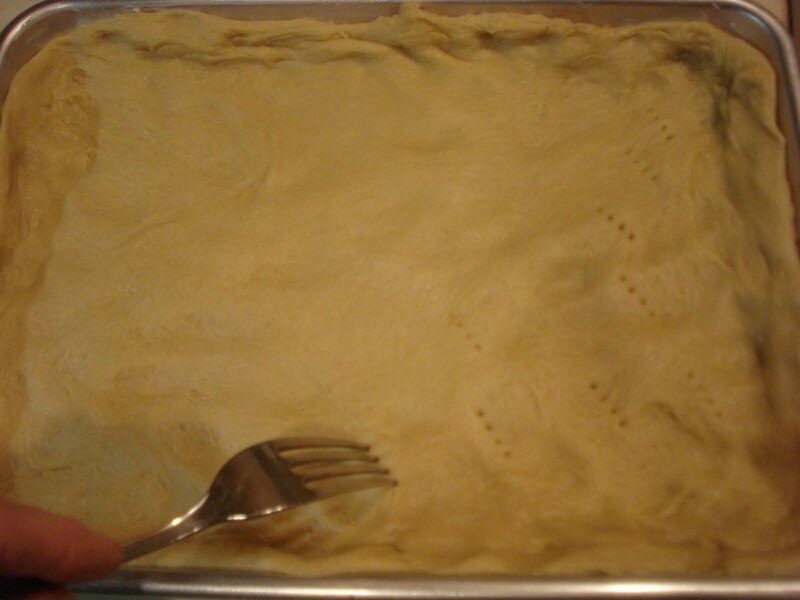 Prick dough with a fork all over the bottom to prevent bubbling. 10. Spread topping over the dough and let it stand 20 minutes and preheat oven to 375. 11. Bake cake for 30 minutes, or til topping is crusty and nicely browned. Don't overbake. 2. 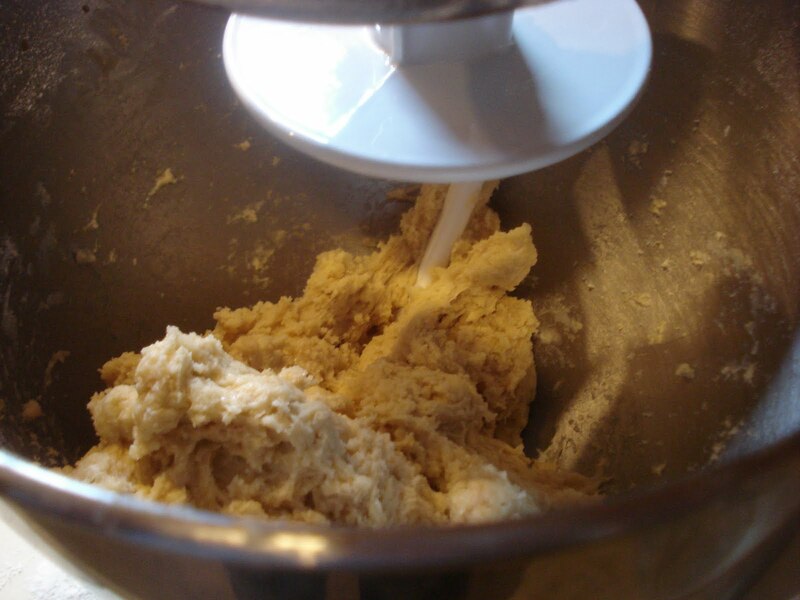 Mix flour and sugar together and gradually mix into butter. 3. Add eggs, one at a time, mixing thoroughly. 4. Add about half the milk slowly and mix. Add more milk, one teaspoonful at a time to bring mixture consistency for easy spreading. ( I used most of the milk). Don't make it too runny. One cup of AP flour weighs...what?